The second round of the 2019 Bridgestone BMW Club Racing Series saw the single-manufacturer category take on the Midvaal Raceway in Meyerton on Saturday, March 23. Yet again this series proved their worth and popularity by a spectacular show of competitive racing on track and camaraderie off track. Defending champion Paulo Loureiro (Combined Racing/Capco BMW F30 335i) and Class A competitor took pole position during the morning’s qualifying session. 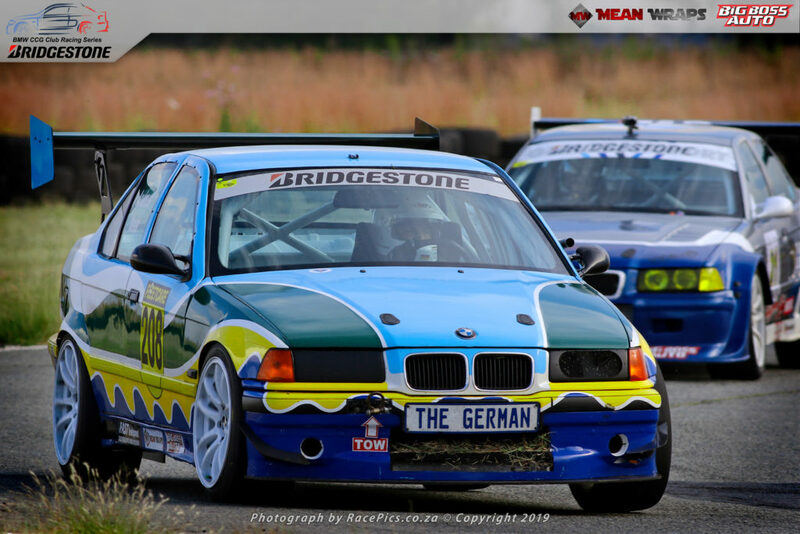 Joint 2019 log leader and Class B competitor, Andreas Meier (BMW E36 STC) joined him on the front row of the grid. The Vaal is commonly known as Adrian Dalton country with the clothing company owner always drawing many spectators. 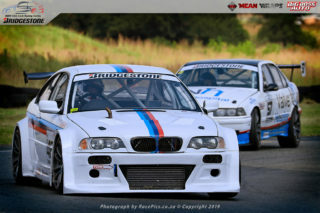 He took third position in his (Xtra Shoes BMW E46 M3 CSL) alongside Jan Eversteyn (Bavaria Racing Team M3 E46). 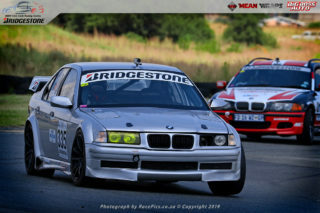 JB Breedt (BMW E36 328i Turbo) made his first appearance for the 2019 season and lined up in fifth position alongside Oz Biagioni (Bio Pools BMW M3). 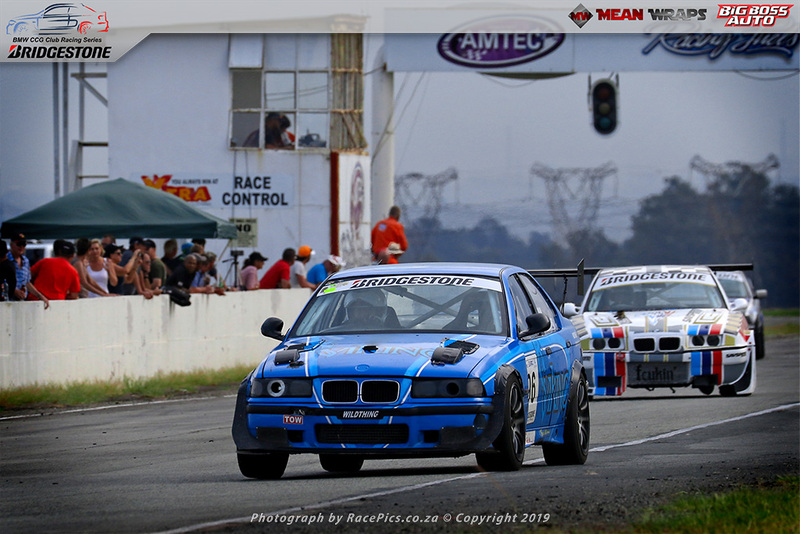 Dino Fameliaris (BMW E36 3.0 Turbo) was another driver to make his first appearance for the season and lined up in seventh position alongside Mike Grobler (BMW E39 M5) in eighth. 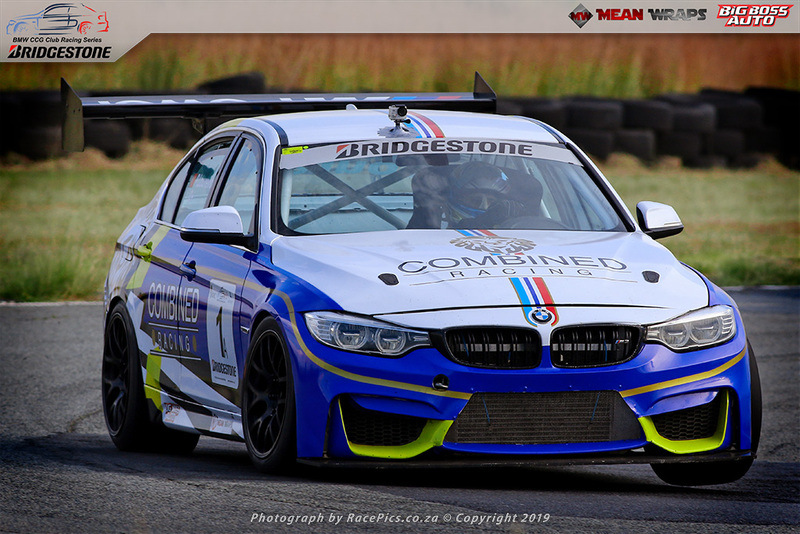 Len-Henry Gobey (G&H Transport BMW E86 Z4M) who has become a regular in the G&H Transport Extreme Supercars category found himself back in the Bridgestone BMW Club Racing Series field and qualified in ninth position. Rounding out the top-ten was the first of the Class C qualifiers, Johnathan Matos (Matossport BMW E36 328i Turbo). 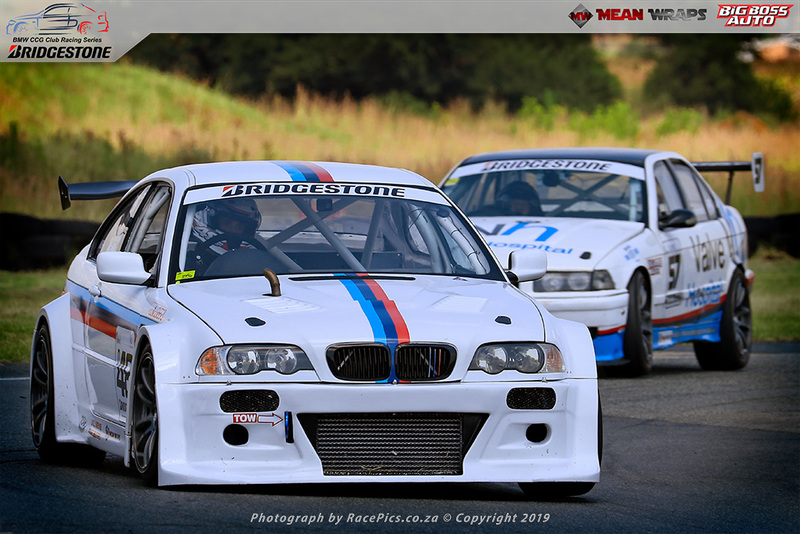 The first of the Class D competitors on the gird was Matthew Wadeley (BMW E36 328i) in 15th position while Bernard de Gouveia (BMW Car Club E36 328i) was the first Class E qualifier in 21st position. Loureiro took the lead from where he completed an unchallenged victory. Dalton got the better of Meier at the start of the race but retired after 6 laps due to drivetrain issues handing the position back to Meier. Eversteyn also passed Breedt on the opening lap with the duo finishing in third and fourth positions after the 10-lap race. 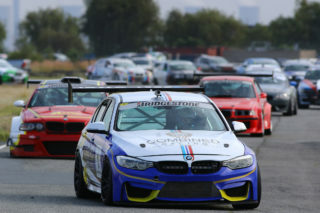 Gobey picked off Mike Grobler on the opening lap, where after he gradually moved up in the order due to retirements. Fameliaris was one of these unfortunate retirements. After moving into fifth position on the opening lap, he slid down the order to last place in the running order and an eventual retirement after three laps due to mechanical maladies. Biagioni was another driver who looked strong at the start, but also had to call it a day after three laps due to spinning off track and damaging his car. 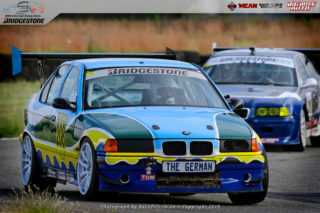 This saw Shaun Lampbrecht (BMW E36 318is Turbo) moving through the pack to finish in sixth position behind Gobey. Shane Grobler (Mayfair Gearbox BMW E36 330i) passed his dad Mike on Lap 4 to slot into seventh position. Initially Mike Grobler had a battle on his hands with Jimmy Tsimenoglou (S.A. Safe Equipment/Big Boss Auto BMW E36 M3) and Salvi Gualtieri (Eataly Food/Savspeed BMW E36 328i). During the closing stages of the race Grobler managed to pull away from the pair behind him with Tsimeniglou and Gualtieri focussed on their tussle which lasted to the end of the race. Along with the overall race win, Loureiro took the Class A victory ahead of Class B winner Meier. Eversteyn rounded out the race podium ahead of Breedt, Gobey, and Class C winner Lampbrecht. Shane Grobler took the father-and-son honours ahead of Mike Grobler with Tsimeniglou and Gualtieri rounding out the top-ten. 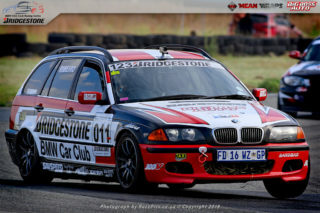 11th place finisher Nek Macris (BMW E46 328i Turbo) took the Class D honours, also being the last driver to finish on the lead lap. 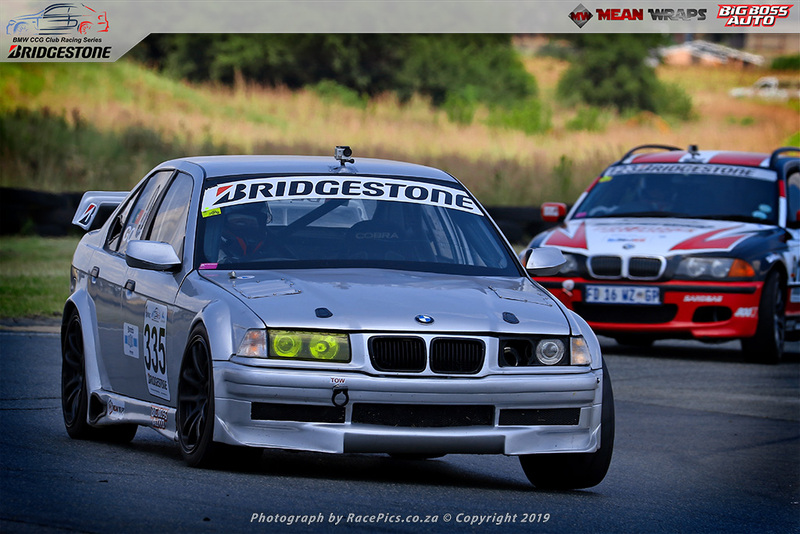 De Gouveia took the Class E win with his 19th position in the race ahead of Manny Ribeiro (Bridgestone BMW Car Club 325i Touring). Using their best lap time in Race 1 the inverted grid per class for Race 2 is determined and is a great formula to ensure plenty action. Dalton would however line up in second next to poleman Loureiro irrespective of his car troubles in Race 1. The rolling start also made it easy for Loureiro to quickly move over onto the racing line and prevent Dalton from challenging for the lead into the first few corners. After a few laps Loureiro pulled away from Dalton creating a comfortable gap he could maintain. This gap would come in very handy during the closing stages with Dalton appearing to have an easier time of lapping the slower cars. 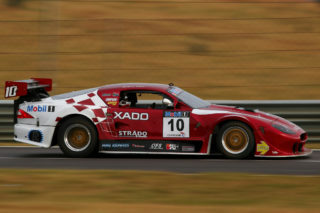 Loureiro made it two from two in the race and Class A battle for the day. Fameliaris took an early third place in the running order and looked comfortable to take the position, but two laps shy of the 10 lap-race distance he retired due to some more mechanical issues. This saw Meier slotting into third place to take the Class B win with determined class rival Eversteyn closely behind him. Further back Breedt and Gobey slotted into fifth and sixth places respectively. The fiercest battle of the race saw five drivers involved in a cat-and-mouse battle for seventh position. Lambrecht continued his impressive performance on the day by flawlessly heading up this battle to take the Class C win ahead of Mike Grobler, Matos, Shane Grobler and Gualtieri. Makris in 14th place added another Class D win for the day. 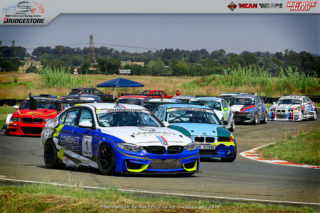 With Loureiro, Meier, Lamprecht and Macris all celebrating double class victories, the change in this status quo came in Class E. De Gouveia’s retirement after five laps saw Manny Ribeiro take the win in 19th position ahead of season newcomer Nicholas Van Zyl (Mike’s Autotune BMW E87 130i). Loureiro’s dominance of Class A saw him taking home a full house of points. Due to there only being two competitors in the class, this meant his tally would only increase by 12 points and not the full 20. Dalton took home five points. It was a full house of 20 points for Meier in Class B ahead of Eversteyn with 16 points and Breedt with 12 points. This trio also repeated these positions in both the races. Class C saw Lamprecht take home 20 points with his two wins. Shane Grobler took home 14 points courtesy of his respective second and third place finishes. After finishing in sixth place in the first race, Matos rocketed up to third place for the day with 11 points after finishing Race 2 as runner up. Nek Makris also took home 20 points in Class D ahead of Matthew Wadeley (BMW E36 328i) and Alan Hilligenn (BMW E36 328i). The latter duo both took home 14 points each after swopping second and third places in the races. Wadeley was however classified ahead of Hilligenn based on a better aggregate time recorded for both races. 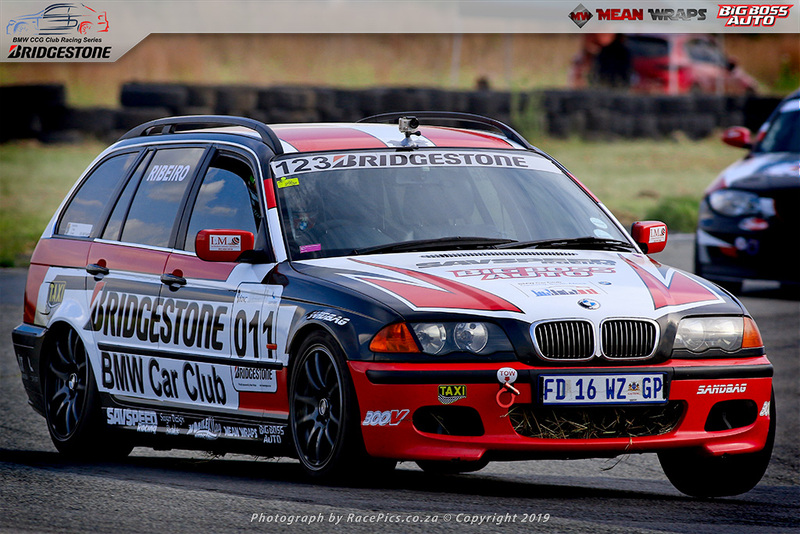 A second place and win saw Ribeiro taking the Class E honours with 18 points ahead of Nicolas Van Zyl. 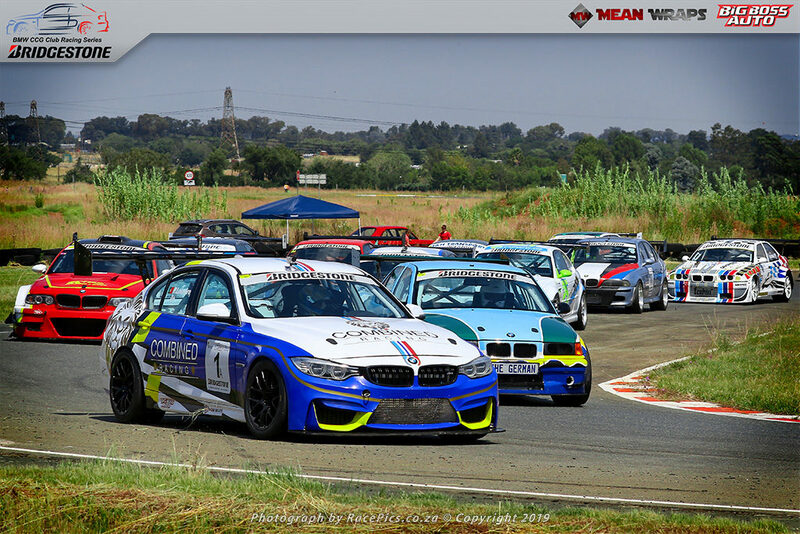 Making his debut in the championship Van Zyl accumulated 14 points with third and second place finishes in the respective races. 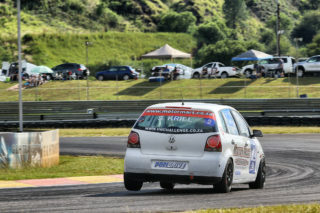 De Gouveia’s win in Race 1 saw him adding 10 points to his tally and third place overall for the day. Shaun Lamprecht took home the coveted Driver of the Day award. 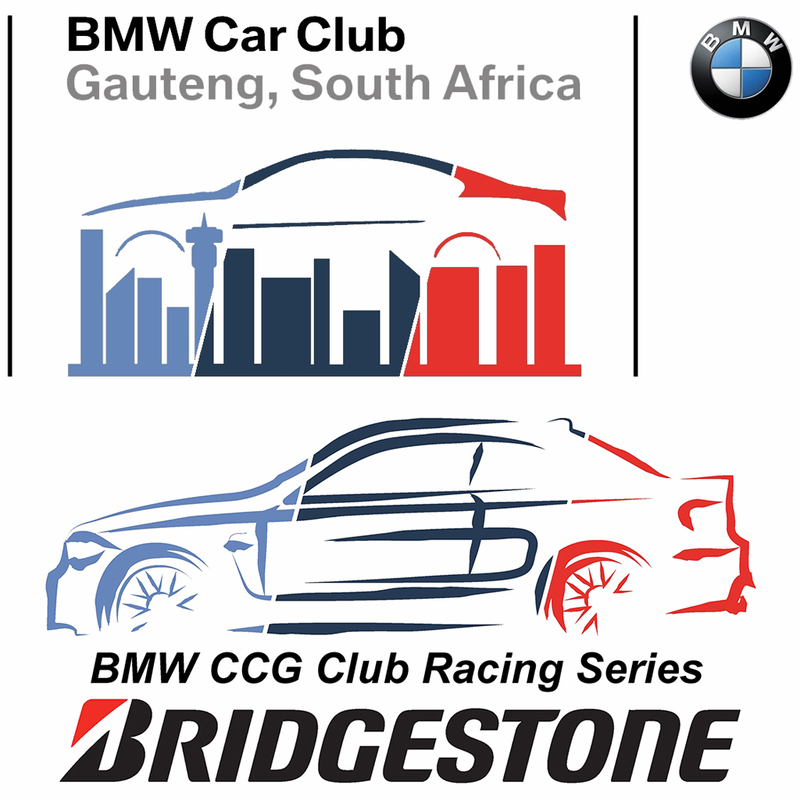 Round 3 of the Bridgestone BMW Club Racing Series will take place at the Phakisa Freeway in Welkom on Saturday, April 27.